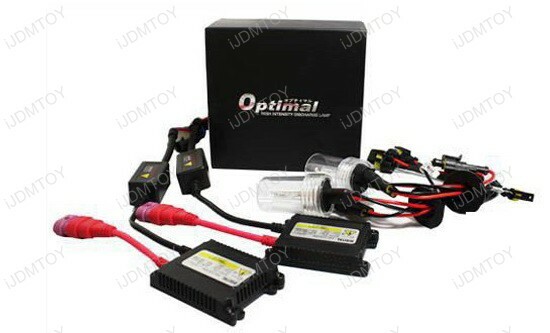 Open box item, all parts can be used properly. 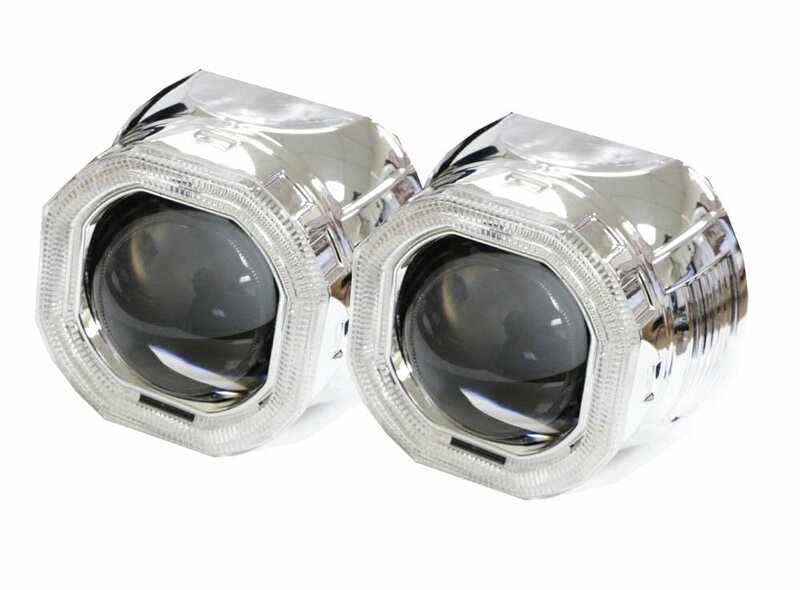 Projector dimension: 2.5" x 5.0"
One pair 2.5" H1 MINI Bi-xenon HID projector lens with neo-square shape chrome finish shrouds with halo covers for custom headlight retrofit work use. 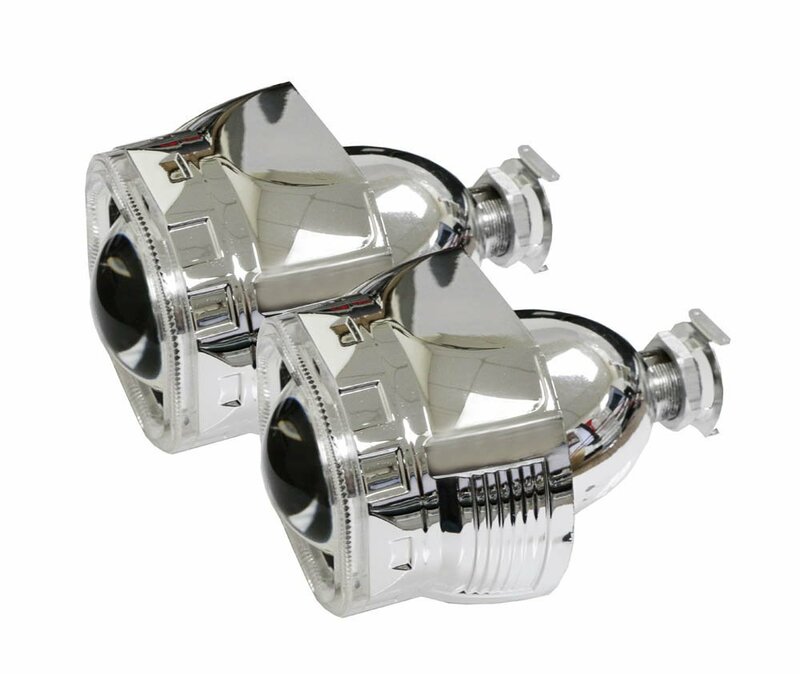 This MINI projector lens takes H1 bulb size with adapters fitting for most head lamps housings as long as it is long and big enough. 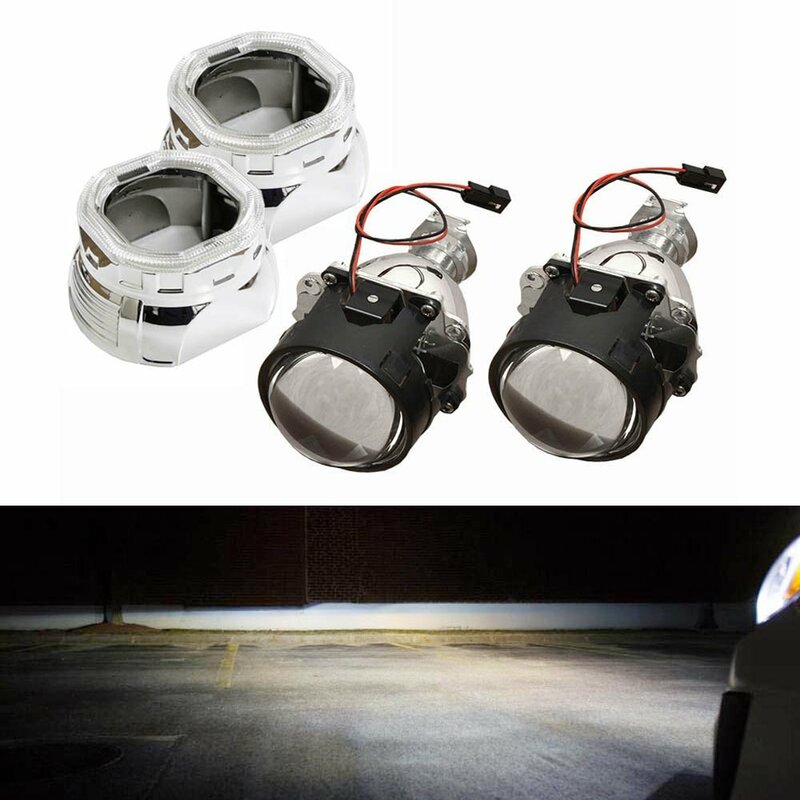 There's a magnetic Bi-xenon cut-off line built inside for low beam and high beam switching. 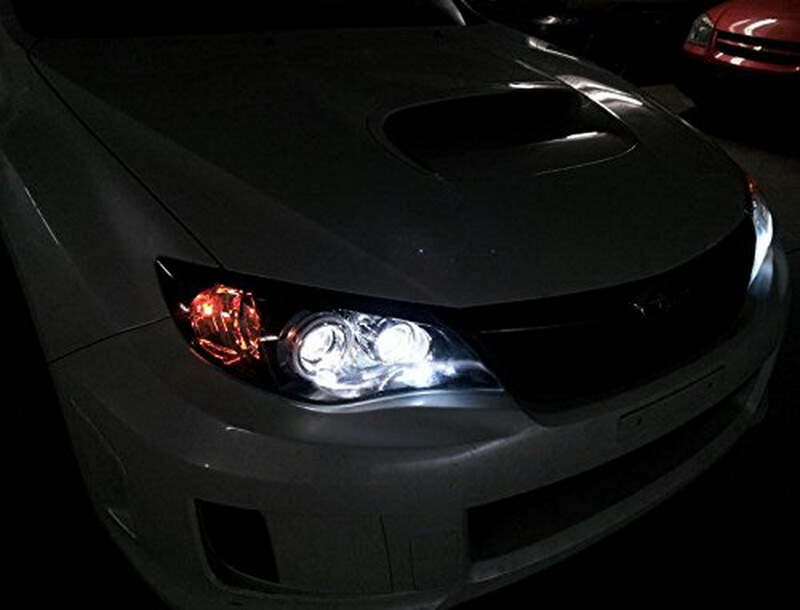 You will also receive a pair neo-square shape shrouds and these shrouds come angel eye halo cover lenses so you can upgrade these projectors with either LED or CCFL angel eye rings. Q: What are the various dimension of the ring covers and/or shrouds? 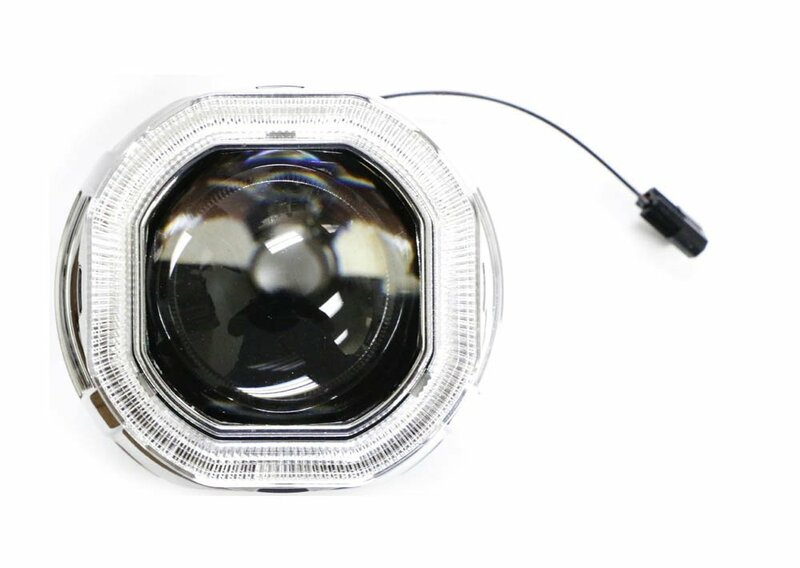 A: The bulb size is H1 and you can use this projector lens for pretty much any headlights that take H4, H7, H8, H11, 9005, 9006, 9007, H13 bulb sizes as long as the space is long and big enough to fit. 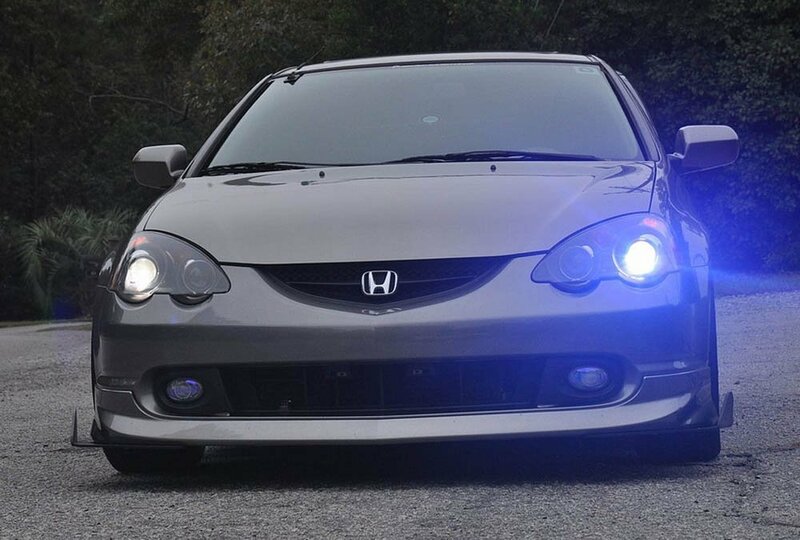 This page features one pair of Mini 2.5" H1 Bi-xenon HID projector lens for most headlight HID conversion retrofit. 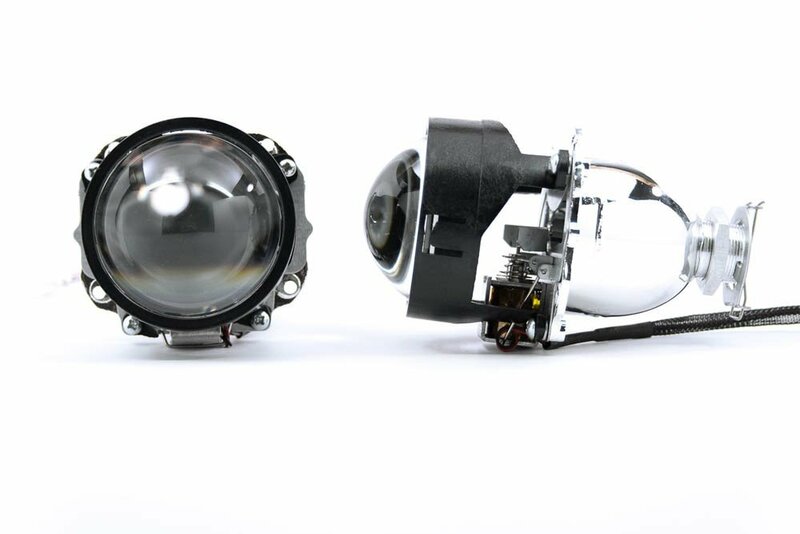 This MINI projector lens takes H1 bulb size with adapters that fit most head lamps housings as long as it is long and big enough. 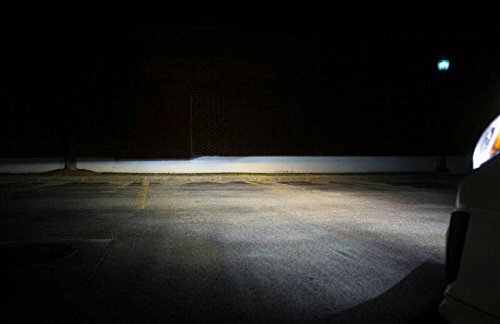 There's a magnetic Bi-xenon cut-off line built inside for low beam and high beam switching. It also fits with H1 bulb size.